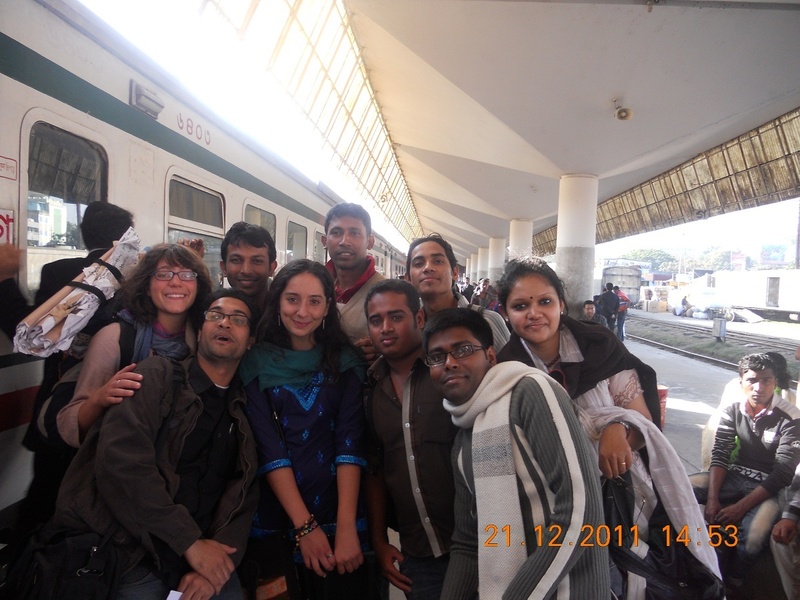 Kirsten and Gioel on their way back to Dhaka after RecrearParticipate. After a glorious morning visiting Chittagong University, Kirsten, a lot of flip-charts and I went to catch a train back to Dhaka escorted by the super cool/efficient/extraordinaire Subir . We were surprised by a group of participants who came to say goodbye. You guys were soooo sweet!!! Thanks Tanvir for taking and sharing the picture. Posted in Bangladesh, RecrearParticipateBookmark the permalink. Hi KK. It was great to have you here. I got some good and like minded friends. I’m flattered!